As part of our commitment to you, the principal of Jackson-Brown Associates works directly with each and every client. Unlike many other firms, our personalized attention is only a phone call or email away. Our team also comprises a number of talented associates who have worked with us for several years. Joanne Jackson has extensive experience conducting functional and spatial studies, working with each organization to identify the unique needs of the programs and services that will be delivered from a new space. Through a consultative process, she works extensively with clients, staff, and other stakeholders to define how they operate, the space and equipment they require and the critical adjacencies needed to deliver programs effectively. From her years of experience at Jackson-Brown Associates, Joanne is highly proficient at writing business cases for capital funding for health centres, social service agencies and large national organizations. She has also worked closely with the Ministry of Health and Long Term Care developing space standards for the CHC capital program. 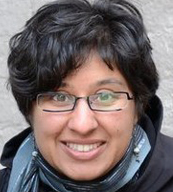 Roopal Thaker is a public policy analyst and experienced project manager for the nonprofit sector. She has extensive experience managing strategic, capital, operational and evaluation projects for local and multinational organizations in Canada, the United States, Kenya, Uganda, Tanzania and Mauritius. At Jackson-Brown Associates, Roopal focuses on understanding underlying community and organizational issues, developing and analyzing viable and strategic options which consider organizational capital and budgets, creating functional-spatial analyses, developing project business cases, preparing applications for funding and financing, supporting capital project implementation and reporting to clients and funders on a regular basis. Kim Ménard is an experienced project manager with an exceptional background in providing project and construction management services for residential, industrial, institutional and commercial projects. Kim’s practical knowledge extends to her work in the field as she has directly managed the trades on many of her smaller projects. Her clients have also included large public and private non-profit sector organizations. 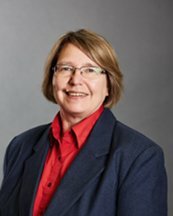 Prior to joining the Jackson-Brown team, Kim’s experience includes multiple roles as a Contracts Administrator, at Ellis-Don Limited/Canadian Museums Construction Corporation for the National Gallery of Canada Project, and also at the Concordia Management Company Limited for the Museum of Civilization Project. She has also developed over $72 million worth of residential projects since 2000. Kim’s experience also includes roles as both Project Manager and Manager for Development and Construction at Centretown Citizens Ottawa Corporation, where her most recent project was the Beaver Barracks Redevelopment. This project was a redevelopment of a central downtown site, which provided 254 non-profit residential units over a two-phase development and construction process. The project was awarded the 2012 Brownie Award for Brownfield Redevelopment in the category of Excellence in Project Development: Building Scale. At Jackson-Brown Associates Kim focuses on all technical issues relating to construction, development and operation of new facilities. Ben Cassidy has thirty years of experience in the construction industry on numerous new construction, renovation and capital repair projects. His work has spanned a variety of roles ranging from constructor to supervisor to manager on a range of project sizes and types. Ben has first-hand experience with project planning, scheduling, estimating, sub-trade and material procurement, client relations and communications, liaison with consultants, and project supervision on site. His two decades of work in the non-profit housing sector has provided him with extensive experience in scheduling work in spaces occupied by staff or tenants during construction and managing issues which may arise in occupied space. Ben’s extensive knowledge of building technology, construction methods and materials, contract documents and administration, negotiation, conflict resolution and budget development and control is key to ensuring successful outcomes on every project. Phil Brown had an extensive background in planning and development. He was a Registered Professional Planner, a licensed real estate salesperson, and a general member of the Project Management Institute. As President of Jackson-Brown Associates, Phil Brown delivered a full range of project management and development consulting services to clients. He organized community groups, trained staff and volunteers, managed projects, obtained planning approvals and funding, negotiated land and contracts, developed innovative solutions, monitored construction, resolved disputes, set up and administered accounting and financial management systems, consulted in management and governance, developed strategic plans and communicated with other organizations, government and the public. 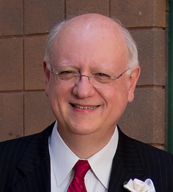 Phil also served as a director and treasurer on the boards of several local community organizations, including serving as chair on the Committee of Adjustment of the City of Ottawa.